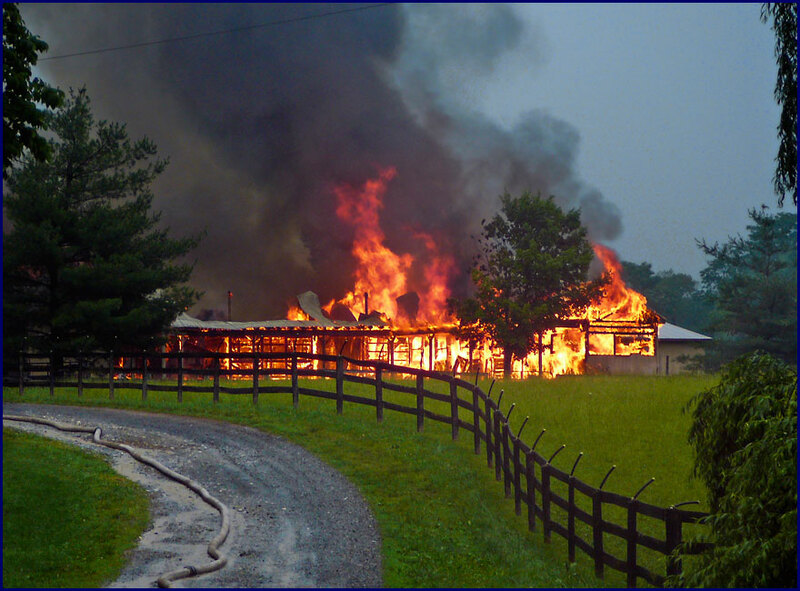 On June 10, 2008, lightning struck our barn and burned it to the ground. 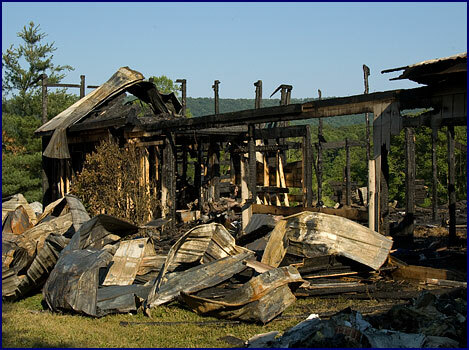 Through good luck, the bravery of the staff and friends rescuing the horses, and perhaps some good fortune watching over us, no people, horses or animals were lost or hurt. 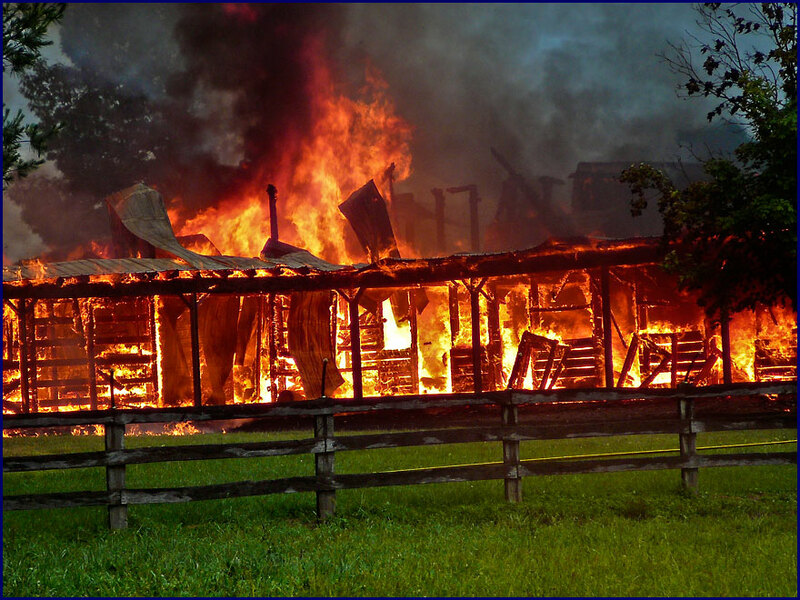 Here are some rather horrifying photos of the barn fire, taken after the horses had all been removed from the stable. June 10, 2008. 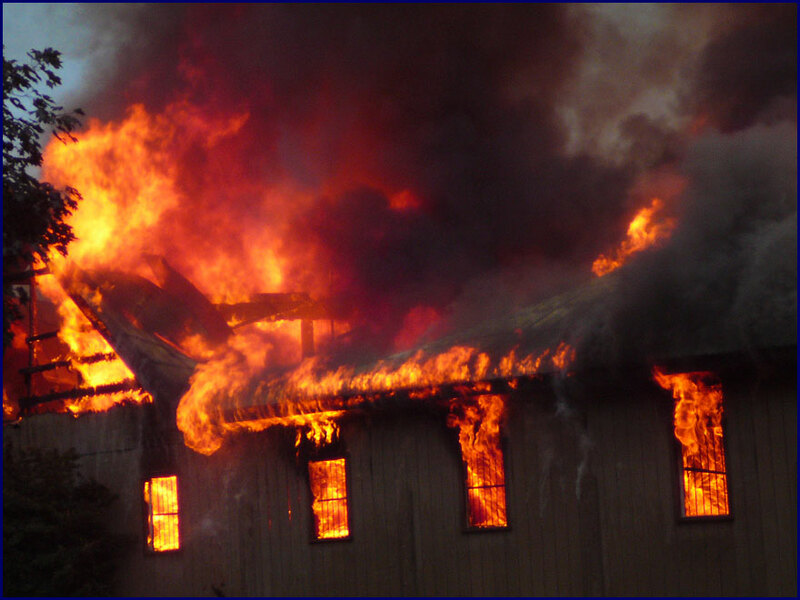 Photos taken approximately 24 minutes after the lightning strike, after all the horses and people were safely out of the barn. 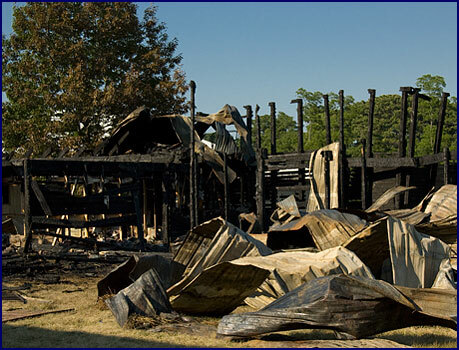 Read about the lightning strike, our barn fire, and our incredible good luck that no people or horses were lost or injured, in the Windchase News Archive. Go to the page marked May 5, 2008 to December 25, 2008. 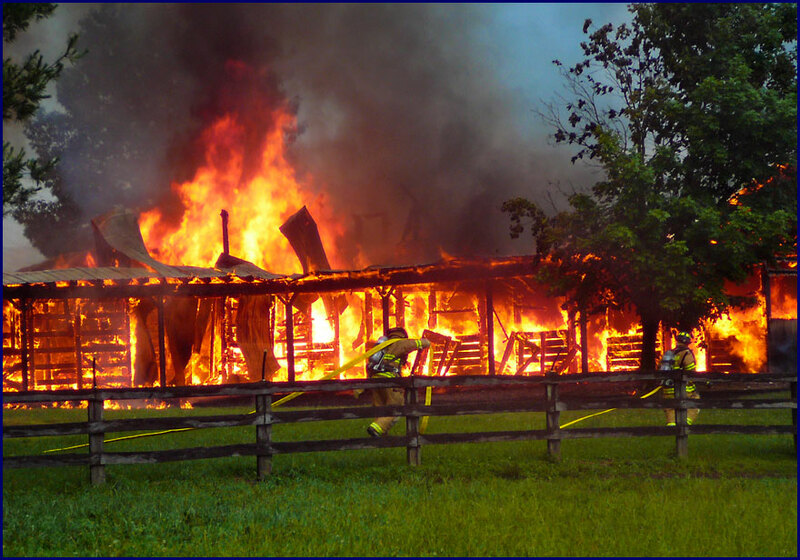 Click here to see the barn after it was rebuilt following the fire.